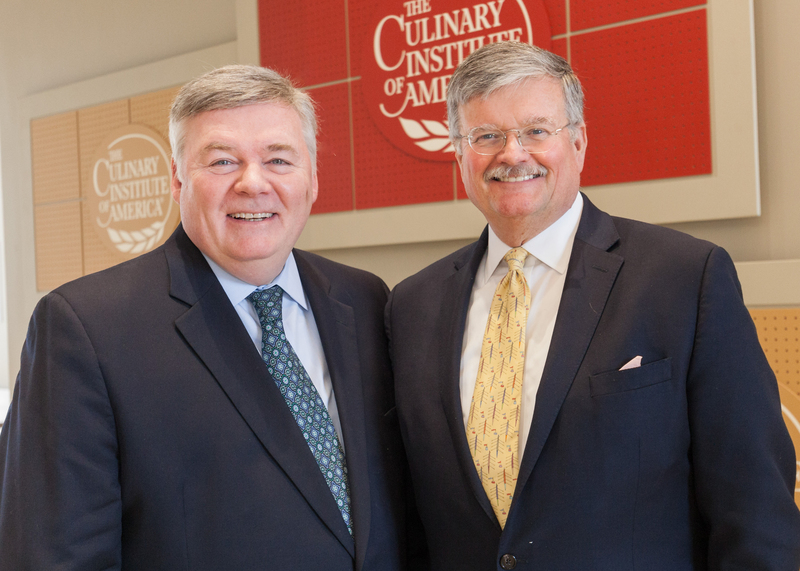 Hyde Park, NY – Michael McGrath, chief executive officer for Newman’s Own, Inc., delivered the commencement address at the New York campus of The Culinary Institute of America on February 10. Mr. McGrath oversees the company’s food and beverage product line of more than 300 items and leads its new product development and market expansion efforts. Mr. McGrath joined Newman’s Own in 2013 after more than three decades as an executive in the foodservice business, including serving as CEO of both Weight Watchers Gourmet Food Company and Country Gourmet Foods. He was a personal friend of the company’s founder, the late actor Paul Newman. A long-time supporter of charitable causes, Mr. McGrath serves on the Advisory Board of the SeriousFun Children’s Network, founded by Newman. In addition, the company is committed to donating all its profits to charity through the Newman’s Own Foundation. Over the years, the foundation has given more than $500 million to thousands of organizations in 46 countries. Mr. McGrath spoke to recipients of CIA associate degrees in culinary arts and baking and pastry arts. The entire graduation ceremony can be seen online.